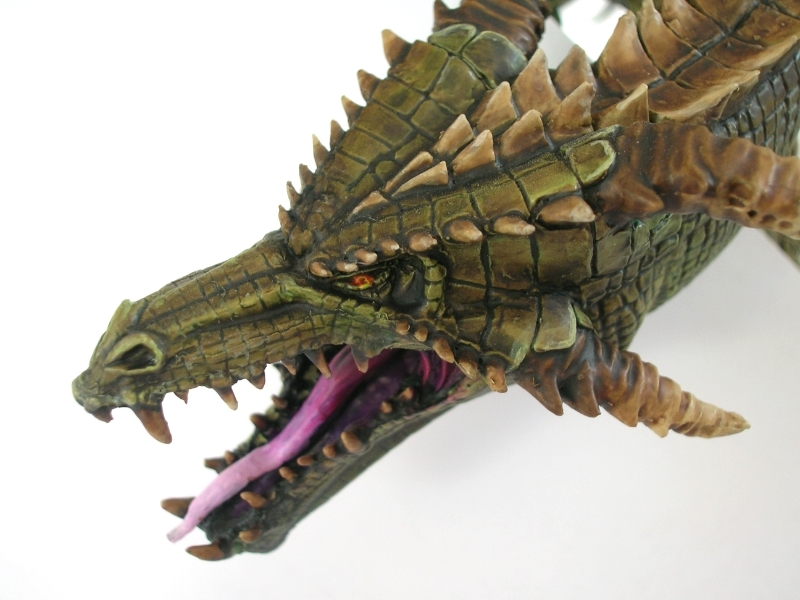 Der bekannte Drache von Heresy Miniatures ist für einen weiteren Monat wieder erhältlich. 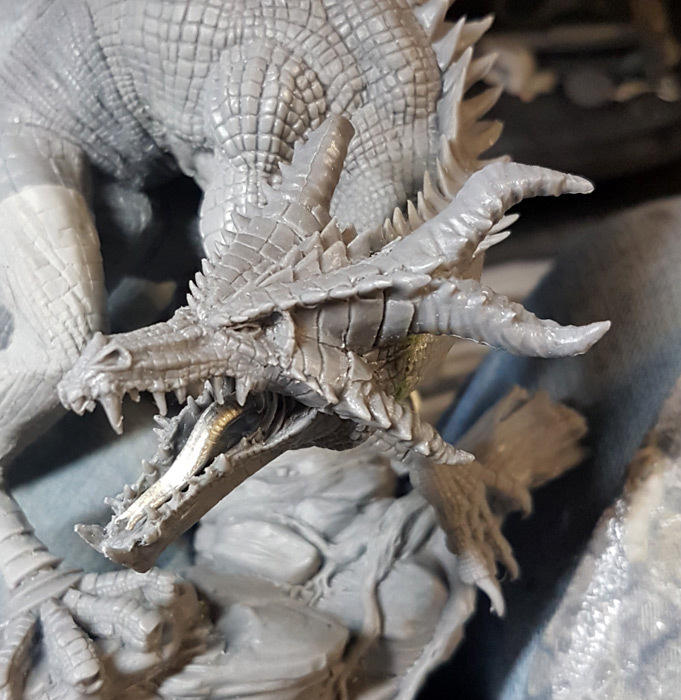 Against all expectations, a successful Kickstarter campaign has brought the original version of the Dragon back for one last production run in January/February 2019! 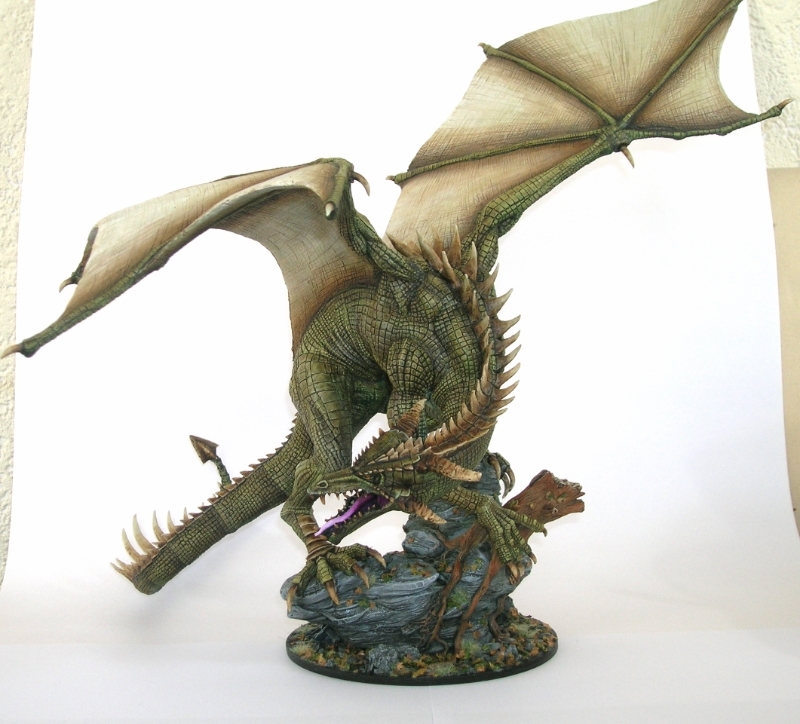 If you did not back the KS campaign, or want another Dragon, this is your last chance to get this original version. YOU WILL NOT PAY FOR SHIPPING NOW, BUT YOU WILL PAY FOR IT WHEN YOUR DRAGON IS READY TO SHIP. Please choose which head you would like from the Dropdown option when pre-ordering, or you can have both heads for an extra £15, or two of the same head, even! 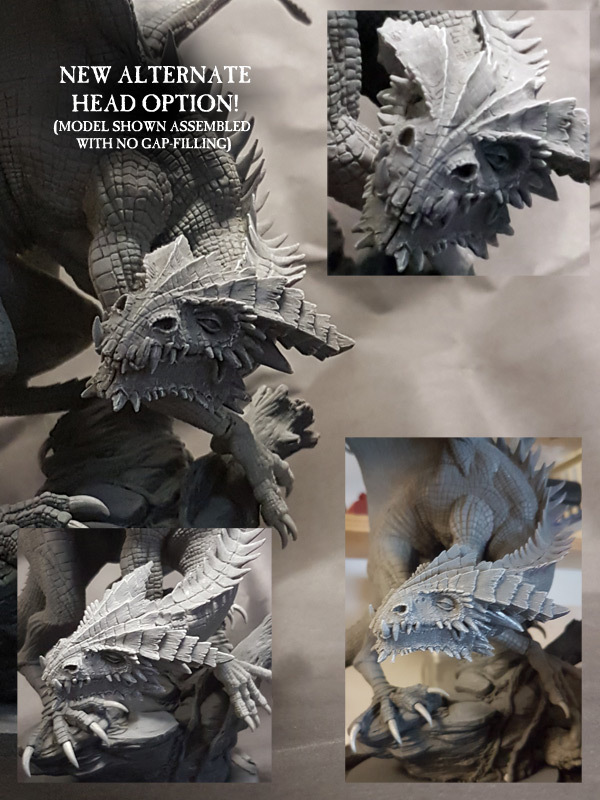 As part of the Kickstarter, Andy made a new head for the NEXT Dragon, and has retrofitted it to make it work with the original Dragon. If you wish to spread the cost of your payments rather than pay for the Dragon in one go, please buy GIFT VOUCHERS from the Gift Voucher section! When Gift Vouchers are redeemed the amount is credited to your account and can be used as payment on any order. In addition, anyone can transfer Gift Voucher credit to other people, so you could get your family to buy them as presents for you, and they can email the credit to you as per the instructions in the Gift Voucher section. You must have enough funds available to pay for your Dragon by the end of March 2019. Alternatively, Andy can send you a Paypal invoice to pay off in instalments by March 2019, please contact us to arrange this method. 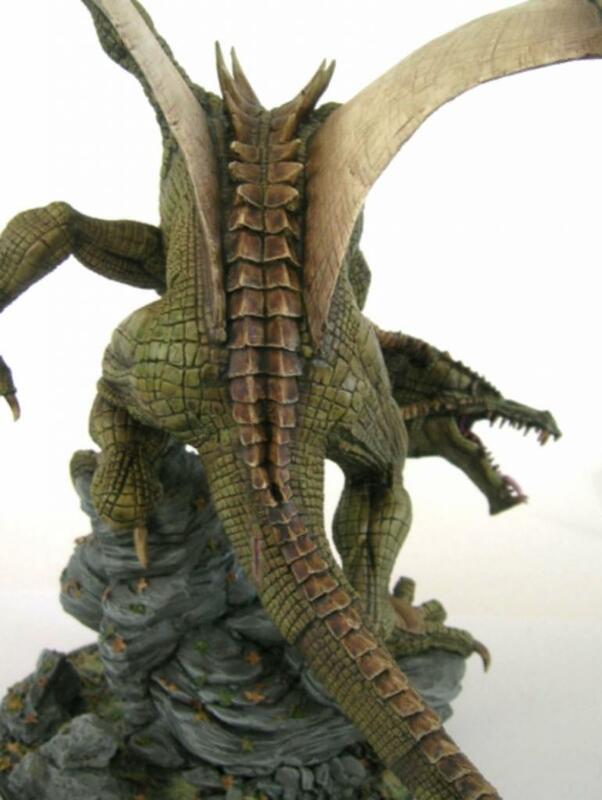 After February 28th, this version of the Dragon will be gone. Andy has plans for a series of new Dragons to replace it. 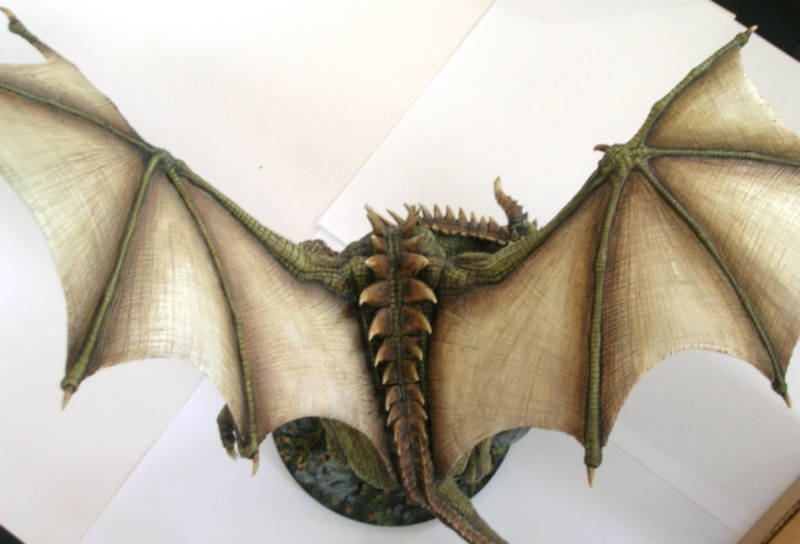 Der Drache selber kostet 350,00 Pfund. Zusätzliche Köpfe kosten 15,00 Pfund extra. 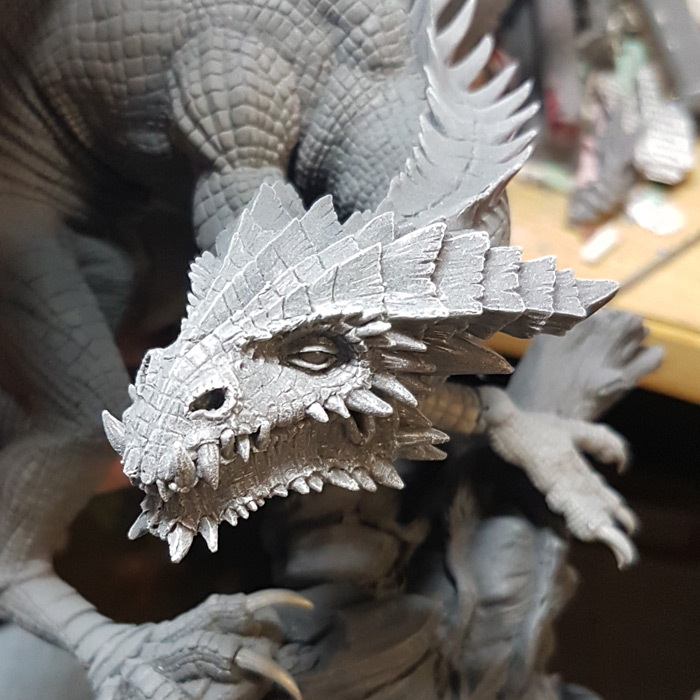 A new, alternate Dragon head to fit the Dragon – if you have one of the previous production castings you may need to remove the connecting mass behind th eneck as the neck socket on the new production run was tweaked for better assembly. Der neue Kopf kostet 16,00 Pfund. Der Originalkopf kostet 25,00 Pfund.